If you trawl the internet there are a lot of companies that purport to offer office coffee machines for rent or sale. Whilst there are some good companies out there it is absolutely a better option to opt for a truly local supplier. Here at Kenco Local Business Service we offer a local service to UK towns such as High Wycombe, Aylesbury and Hemel Hempstead. As we located so close we can offer truly exceptional levels of service including quick deliveries and a great service response to machine faults. We have our own in house delivery and service departments which allow us to not only offer speedy response times but also a bespoke service where necessary. 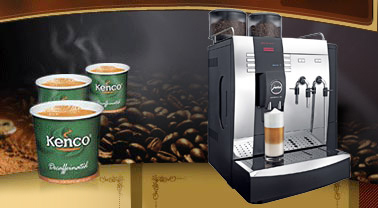 We offer a range of office coffee equipment ranging from table top bean to cup machines using fresh milk and producing coffee shop standard lattes and cappuccinos to fully automatic floor standing office coffee vending machines. We can even offer to fill and clean the larger machines for you, saving you the work and hassle of this operation. With all of the equipment that we supply we can offer all of the consumables that you may require for use in the equipment as well as a comprehensive technical support service. 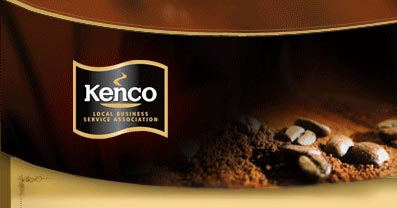 As you may imagine we supply Kenco coffee but you may not realise that we also supply Carte Noire coffee beans, allowing you to offer a truly up market experience in your office. If you are unsure what machine would be most suitable for your workplace then why not ask one of our experienced sales team to visit to advise you on the most appropriate system. This is a free of charge service and ensures that you get the right machine for your needs. If you are based in Buckinghamshire, Hertfordshire, Berkshire or London then you will not find a supplier of office coffee machines that can offer you the service levels that we can. For more information please call us on 0845 061 1122. This entry was posted in Coffee machine and tagged office coffee machine supplier, office coffee machines aylesbury, office coffee machines for rent, office coffee machines for sale, office coffee machines high wycombe. Bookmark the permalink.